My Firefly Mini Survival Knife arrived from Panacea X in a timely fashion I quickly tore open the packet and checked out the rugged little blade ensconced inside. Robert has obviously thought deeply about the design of this little blade, it’s a robust piece of equipment small and extremely tough. Robb uses the ubiquitous saying, “The best survival knife, is the one you have with you.” So his ethos with this blade is that you have a tool that is easy to carry which accomplishes many tasks and is legal, for concealed carry, in most states in the USA and provinces in Canada. Therefore I incline to the view that this is a knife that you will grab and shove in a pocket when you are flying out the door, for that “just in case” moment! I don’t normally write reviews on knives, there are too many out there. I have my favourite knives that I use regularly both as a survival/bushcraft instructor, and when I am also working as a survival consultant for TV shows. However I felt compelled to write a review for this little guy. To test it out I packed it in the top pocket of my windproof smock and headed off on a two week expedition into the Canadian Rockies, where I was teaching a winter survival course. My thought pattern was that ‘if’ it survives this trip I might consider writing a review on it, due to its unique design. Guess what it survived! I progressed through the various design features that have been incorporated into the FireFly; this knife proved itself in temperatures that dropped to as low as – 30°C (-22°F). I used the hollow handle as a whistle where one uses it rather like a glass bottle to blow into to make a high-grade whistling sound. The “90 degree sharp edge” on the spine works very well in conjunction with the ferrocerium rod, that is neatly stored in the handle of the blade. It gave off high grade quality sparks that I used to fire up some fine grade kindling, and tinder, to light a few early morning fires. Interestingly I left my winter shelter one brutally cold morning and needed to light a fire for my group. So here was the perfect opportunity to put this knife through a gamut of abusive tests. So using a baton on the “FireFly” I split some boughs of wood into smaller wands. I then used the knife to shave some very fine feather sticks, which easily caught fire with a shower of sparks from the “FireFly’s” Ferro Rod. At every opportunity I continued to abuse my miniature blade, with a baton, or by jamming the tip into the wood and twisting violently as I made some wooden traps, with intricate triggering mechanisms; in sub zero temperatures. The flat grind on the blade makes it easy to sharpen and it hones to an incredibly sharp edge, which became quite clear when I used it for fine carving tasks. Although I have not tried it, yet, for skinning small game I believe it will be an incredible knife for this purpose. This little blade soon became my buddy as I found myself using it for all sorts of camp tasks. Why? Well simply put it was just there in my top pocket or hanging around my neck on the 3ft neck loop, made up of narrow gauge para type cord, it is supplied with. Which incidentally gave me peace of mind, as I always like to carry a small length of string, just in case. It is now my favourite “every day carry” (E.D.C.) pocketknife, with the added bonus I can use it for fire lighting, signaling, and I have string for survival or handyman purposes. 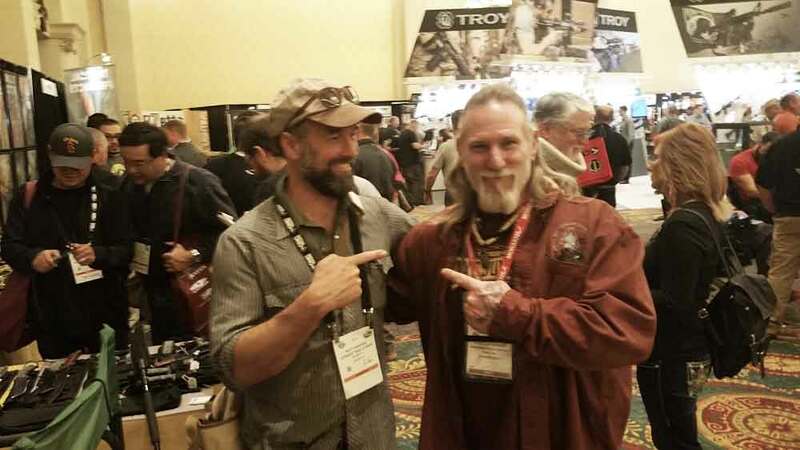 RFW and Robert Pelton, survivalist and Author "The most Dangerous Places on Earth"